To celebrate National Science Week 2019, the Science faculty became doctors at the ‘South Shore Academy Hospital’. During the week, key stage 3 pupils were involved in an outbreak simulation. The game was played with cards: “Infected” cards that pupils could spread, “Vaccinated,” “Naturally immune,” and “Hospitalised”. The aim of the game was to survive the week. The staff and pupils thoroughly enjoyed the activities and even Mr Reynolds was not immune, as he also received the dreaded “Infected” card! All KS3 lessons in Science followed this theme, including: spreading infections, how to prevent outbreaks, our bodies defences, and vaccination. We also celebrated the great improvements that have been made in this area, looking into the treatments and issues causing the black plague, and why women died in child birth. It was amazing to see pupils of all ages talking about what they had been researching in their own time, and how their opinions changed about vaccinations and their importance. Other subjects around school followed the same theme with a rap about Ebola being produced in Music – learning also that in countries with poor literacy, songs are a fantastic way to get the message around. In Design Technology the year 7s made their very own masks to help prevent them catching the infection. In English students wrote about how infections affected the soldiers in the trenches, as well as, producing min-sagas about infection outbreaks. In addition to this, Food Tech groups looked into biological warfare, and how viruses are introduced through the food chain. And last but certainly not least, Art designed their own virus and considered what its symptoms might look like. What is more, Marton Primary Academy visited and joined in with lessons concerning spreading disease and how to prevent this. 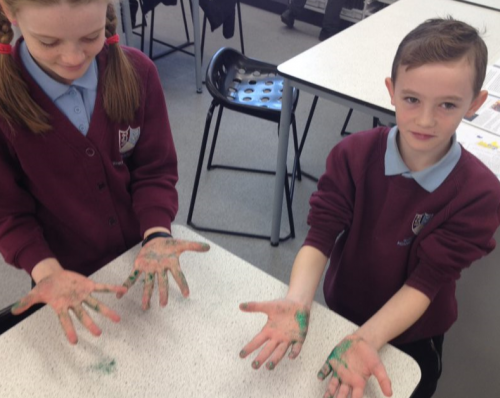 They all enjoyed the practical discovering of how far germs (glitter) spread around the Academy and how soap and water are most effective to wash your hands. 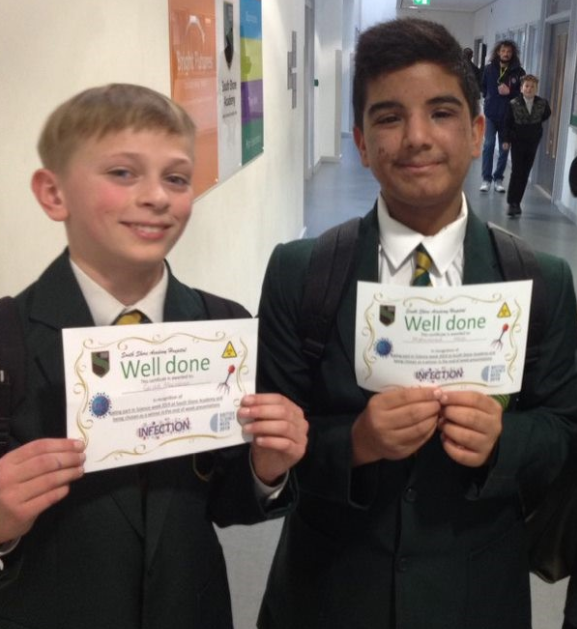 At the end of the week, our KS3 pupils pulled everything together and delivered one big presentation. It was a truly fantastic week for all the staff and pupils, and one we certainly won’t forget in a hurry.